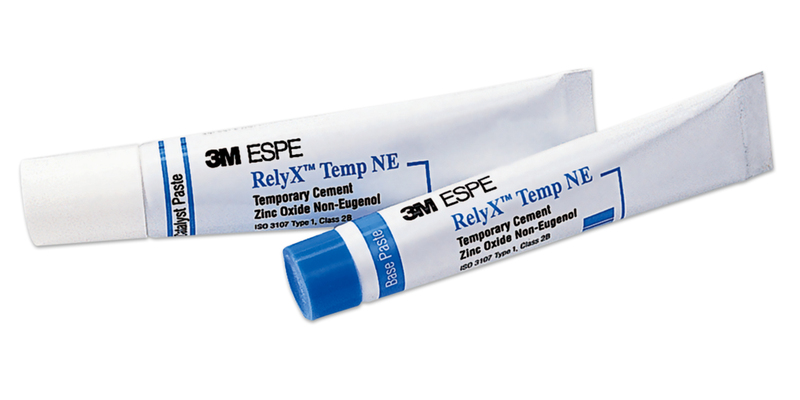 Zinc oxide temporary cement offers strong adhesion and extremely low film thickness. Excess material is quickly and easily removed, with a majority of the cement remaining in the temporary, not on the tooth. 1'30" - 2'30" work time; 3'30" - 4'00" setting time. Contains: 1 x 18g tube catalyst, 1 x 25g tube base, 1 mixing pad. Contains: 1 x 13g tube catalyst, 1 x 30g tube base, 1 mixing pad.